Winner of the Seamless Cities App Challenge. This app will help you navigate through the best merchants from the Nürnberger city centre. Carefully selected traders offering special offers to our app users. 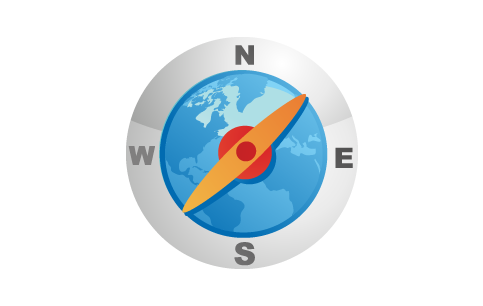 Fake Gps location so you can post on Facebook ™, Twitter ™, Foursquare ™, Whatsapp ™, Google Maps ™, Navigation, Yelp ™, Navigon ™, TomTom ™ or any other app that uses your phone's locations. The app will overwrite your current location elegantly and the third party apps will think you are in Paris under the Eifel Tower or in New York on Times Square! With more than a dozen top applications and hundred of thousands of downloads across all stores we are one of the leading companies in the mobile software development.We offer great innovative apps and prompt customer support. If you are looking for a tailored solution of one of our apps with your own company's logo, look and feel or simply require a fresh and new app for your business, do not hesitate to contact us. We have the best team and ideas waiting for you! Is to bring your business to higher levels and increase your revenue. If you are experiencing problems with your products and services we are the right partners to resolve your software problems. Our company is specialised in the development of quality mobile software, offering our very own apps to the Android users across a number of marketplaces , as well as third party native Android Applications specially tailored to the needs of our customers. Here you will find all the news, events and everything you need to know about our current and upcoming applications. We are a leading player in the Android Market and all of our apps are top quality applications with huge amount of downloads and of course the same number satisfied customers. If you want to know more about what we are up to, check us out on Twitter and Facebook for all the latest updates. Find out more about our services and what we can do to increase your revenue. Our goal is not just to deliver quality mobile software to the end user, but to also improve your daily activities with the help of our applications automating some of the repetitive tasks you encounter. If you like one of our applications and would like to customise it to fit for your business and structure we are here to assist you. If you have an amazing idea, but lack the knowledge to convert it into a workable application we are the right team for your needs. Do not hesitate to contact us. We are always working very hard to meet even the impossible deadlines. Within our first year we have already developed more than a dozen paid and free applications. We also develop apps for our customers around the globe who are also generating many downloads, because of our expertise and quality software. Our support is second to none and you can expect our support team to answer you within a couple of hours and assist you with resolving your issues. And yet our apps are bug free and are very well received by the end users. If you are in need of a top quality mobile app you have come to the right place. With our extended experience in the fields of text messaging, geo location, call blocking, roaming and data activities we have the right tools for you already developed. We at Incorporate Apps don't take "NO" for an answer and we never say "NEVER" - we always look at all angles to deliver cunning applications. Make sure to contact our sales team which can assist you in finding the best way to bring your idea into light and convert it into an amazing peace of mobile software within a reasonable amount of time. Great news! We are among the winners @ the Apps World Blukii® Hackathon with our Emergency Assistance wearable pendant device! We will be at the Apps World @ The CityCube in Berlin, come and say hi! Apple is filling to patent one of our apps, Walk N Text - Type n Walk as their own idea - good for them for being so "creative". It is always great to know that one of the most innovative companies in the world decide to copy our idea. Incorporate Apps was selected among 60 (11 in the finals) very competitive teams from 4 countries to develop our idea for the "Experience Nuremberg Shopping" app. We are very pleased to win such an eventful competition and to be able to deliver an app for the city of Nuremberg which will greatly enhance the shopping and tourist experience in the city. We are pleased to announce that we have developed an app to help the citizens of Berlin and Hamburg identify potentially dangerous neighbourhoods and easily find crimes on a map. Available for Android. We have been part of the Mobiroo Store for almost a year now, but we are happy to announce the launch of their unique subscription model store - apps on demand, all you can eat for a simple monthly fee or about 2$. Who can resist? With about 10% market share on their exclusive store we feel very confident about their success! A Very Happy New Year to all of you! We have more apps coming in 2013, thank you for the support! A new app to be used with our award winning Location Based Reminder Spoty - Fake GPS Location. The app can be used with any other 3rd party location app like Foursquare, Maps, Whatsapp etc. We have teamed up with LG World to bring our apps to their platform. Most of the apps are already ported, stay tuned for more news. Yet another store where you can find our apps. The Mobiroo Gift Card Shop, a unique shopping experience with about 200 exclusive apps, 15 of which are from us, Incorporate Apps. Great news! We have moved! From now on you can find us on our new company address in the capital of Germany, Berlin! Incorporate Apps teams up with Vodafone Global to offer some of our applications on their exclusive 360 App Store. "Lost Droid" for Android. The only app you will need to control your mobile device in case it was stolen or lost.